In Dante's Footsteps by Charles Patterson is an excellent book that held my attention from beginning to end. This somewhat whimsical comedy follows the life of Thomas in seminary, through his ordination, as a priest, and his resignation to becoming a writer, what he really wanted to be all along. And, during this time in the ministry he meets the ghost of his former teacher and mentor, Edward, both of whom share a strong interest in Dante. Edward invites Thomas to come and visit hell, as supposedly Dante did. One of the things that In Dante's Footsteps points out, and something that we have also encountered is that hypocritical self-appointed religious leaders are doing is condemning people who are more Godly than they are and ignoring other people's behavior that are like their own. We have run into this particularly with their attitude toward vegan animal rights people. But I won't ruin the story for you other than to say that we are sure that you will enjoy it. 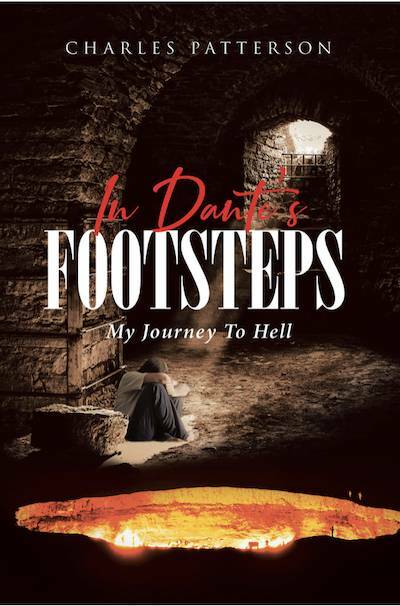 In Dante's Footsteps is a great book that we recommend to everyone. Charles Patterson is an author, historian, therapist, editor, and teacher. He grew up in New Britain, Connecticut, and graduated from Kent School, Amherst College, the Episcopal Theological School in Cambridge, Massachusetts, Columbia University (MA in English Literature, PhD in Religion), and the Yad Vashem Institute for Holocaust Studies in Jerusalem. He lives in New York City where he has taught courses in history, literature, and writing at The New School for Social Research (Ancient Israel and Classics of World Literature), Adelphi University (Advanced Writing), Hunter College (The Bible as Literature), and Metropolitan College (Adjunct Professor, Human Services). The National Council for the Social Studies in Washington, DC, presented him with its Carter G. Woodson Book Award for his Young Adult (YA) biography of Marian Anderson at a special luncheon at its annual convention in St. Louis, Missouri. His other books include The Oxford 50th Anniversary Book of the United Nations, The Civil Rights Movement, From Buchenwald to Carnegie Hall (co-authored with a Holocaust survivor), and his internationally acclaimed Eternal Treblinka: Our Treatment of Animals and the Holocaust, now in 16 languages. Patterson lives on the Upper West Side of Manhattan and is a member of PEN, The Authors Guild, and the National Writers Union.